During the production of the program "The Real Face of Jesus?" for the History Channel, 3D computer graphics artist Ray Downing of Studio Macbeth worked with high definition photographs of the Shroud of Turin. On that ancient linen there are two distinct and different images: the body image and the blood image. Downing noticed a slight difference in color between the body and the blood images. Using sensitive digital color mapping, Downing enhanced the blood image to produce the blood map you see in the above image. 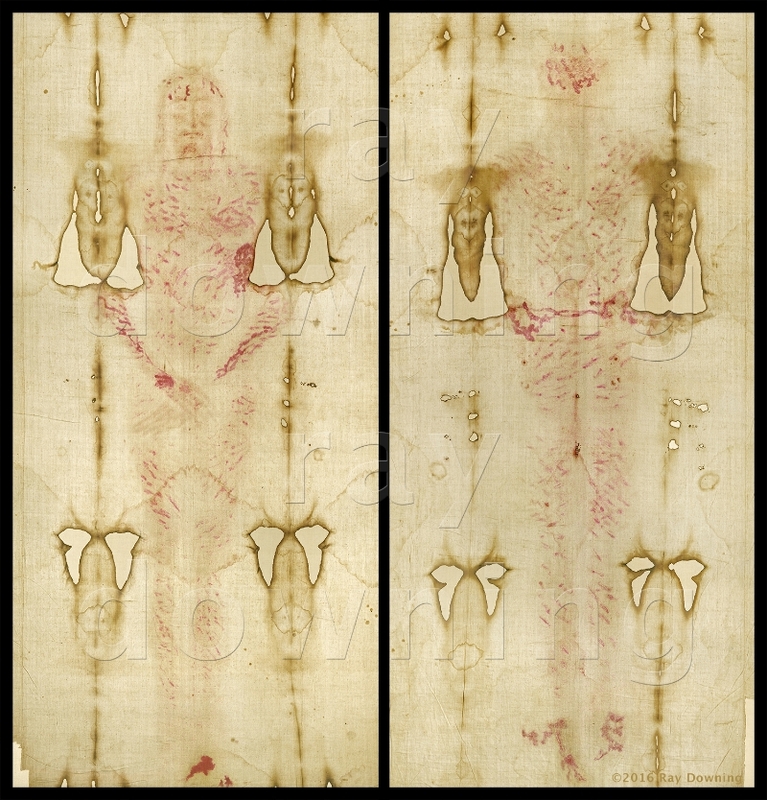 This blood was then "lifted" from the body image and applied to the 3D computer model of the man in the Shroud, as featured in "The Real Face of Jesus?". The man in the Shroud appears to have suffered well over a hundred and thirty different injuries. There are wounds from scourging, wounds to the wrists and feet, numerous head wounds, and a side wound. While we cannot say if the Shroud is the burial cloth of Jesus, we can say that the wounds it depicts are consistent with those described in the gospel accounts. History Channel's "The Real Face of Jesus?" DVD can be found here. The image above can be found here.